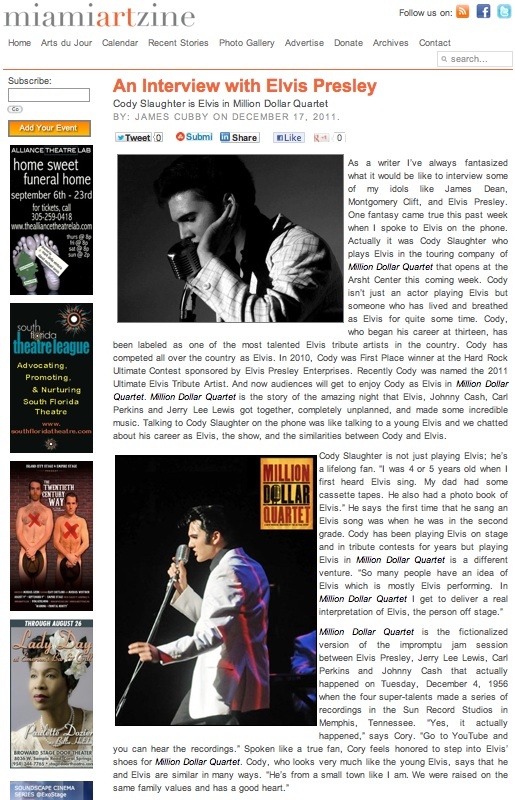 In December of last year I interviewed the very talented actor/singer Cody Slaughter who was playing the role of Elvis in the touring company of Million Dollar Quartet, then playing at the Arsht Center. 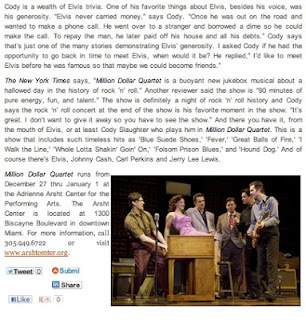 Now Million Dollar Quartet returns, this time to the Broward Center for the Performing Arts, so I thought I'd post that interview since Cody Slaughter will be reprising his role as Elvis. 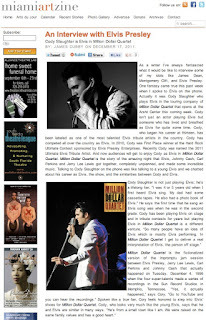 Cody is a prize-winning Elvis impersonator and this gave him the opportunity to really work his acting chops.